Our world is rife with slow-burn issues – climate change, corruption – that periodically flare up into disaster, war and revolution. But how do we better understand the build-up & aftermath of these moments? How do we take on environmental, governance, social and health issues before they explode? The most effective groups tackling slow-burn issues are the most-affected: local communities and organizations that work around the clock to keep issues affecting their backyards in their sights. 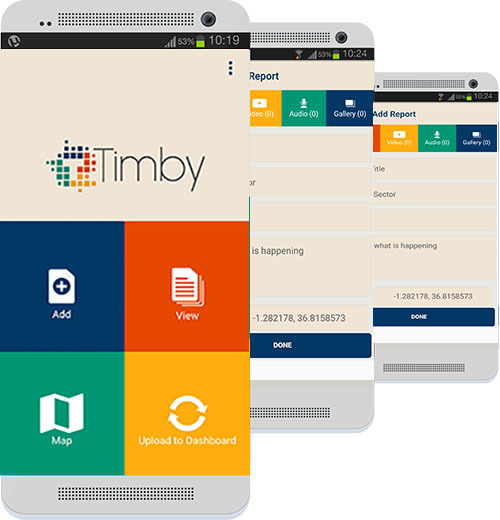 TIMBY supports these teams with three distinct and interconnected tools. 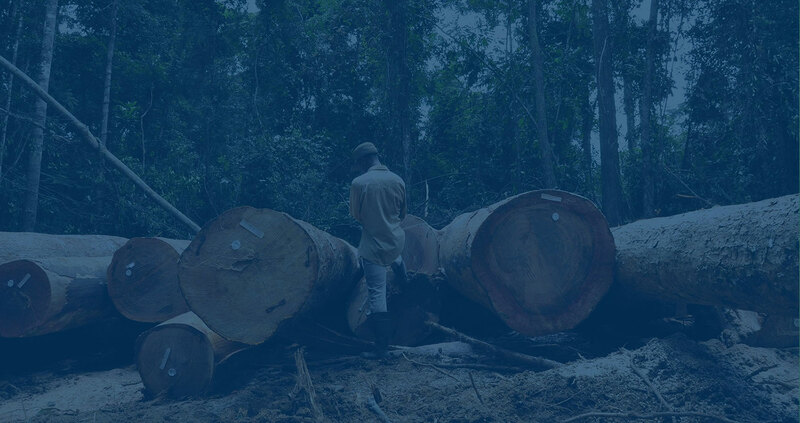 Simple, secure and systematic reporting from the frontline, anywhere in the world. Find connections between events and individuals over space and time. Follow and resolve grievances with transparency. 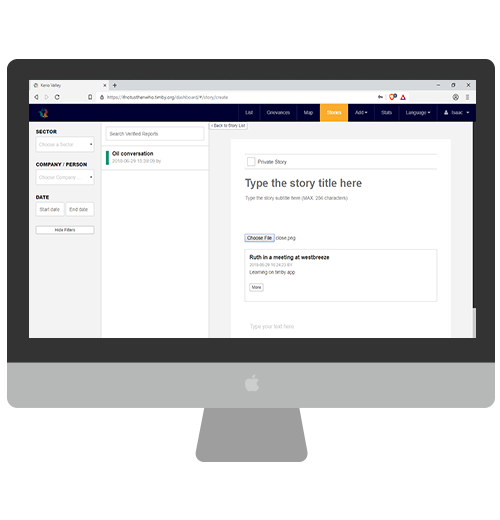 Share reports, blogs, stories and forms for maximum impact. 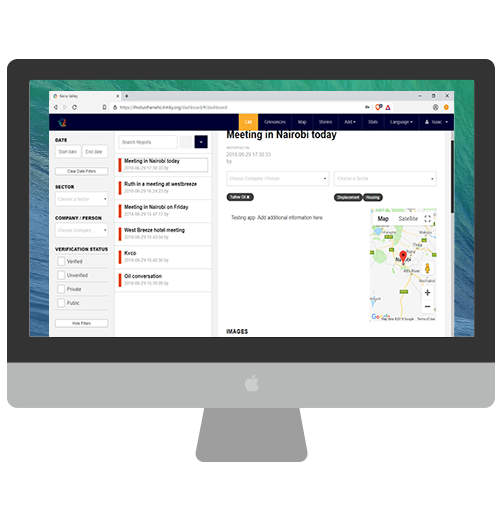 We built TIMBY in close collaboration with user groups across the African continent. It is now available in 10 languages and is being used by institutions, investors, companies, citizen journalists, lawyers, activists, NGOs and other teams in 25 countries around the world. We can't talk about all the implementations for security reasons but the map below shows some of the places where TIMBY is actively deployed or in development. TIMBY is built for scale. The ultimate goal is 5-minute setup for even the least computer-savvy. We want you to be able to use TIMBY to change your own backyard.